The latest round of United Nations climate talks in Poland in December sought to get the world on track to meet the 2015 Paris Agreement's long-term goal of keeping global warming well below two degrees Celsius. Toward that end, negotiators from the agreement's nearly 200 signatory nations were asked to report on their country or region's progress toward fulfilling its Paris pledge, or Nationally Determined Contributions (NDC). But just how accurate were those progress reports? That depends on the integrity of the underlying greenhouse gas emissions data that each country used to assess its performance toward meeting the emissions reduction targets spelled out in its NDC. The measurement, reporting and verification (MRV) of a country's overall emissions and emissions reductions involves culling and validating emissions data from multiple sources, including firms—industrial, nonprofit, and government entities—in different economic sectors. Building reliable firm-based systems for emissions MRV is no easy task, especially in developing countries where misreporting of environmental data can be significant. But a new MIT-led study in Nature Climate Change identifies challenges and opportunities to achieve that goal. 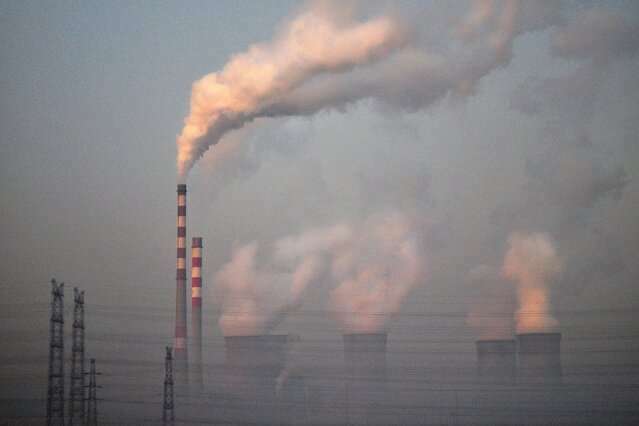 Co-authored by researchers at MIT, Tsinghua University, and Wuhan University, the study focuses on China, the world's largest carbon dioxide (CO2) emitter. China's climate-change mitigation strategy centers on a national emissions trading system (ETS) whose success depends upon accurate emissions reporting at the firm level. Using data obtained from two of China's pilot regional ETS programs, one in Beijing, a highly developed major city, the other in Hubei, a less developed province, the researchers compared firms' self-reported CO2 emissions numbers with those verified by independent third parties. The average discrepancy in these numbers decreased significantly in Beijing, going from 17 percent in 2012 to 4 percent in 2014 and 2015 for approximately 400 firms. In Hubei, which launched its system one year later, the number of discrepancies started lower and showed a statistically-insignificant decrease (from 6 percent in 2014 to 5 percent in 2015). "We conducted multiple tests to determine if there was any evidence for manipulation or collusion in this process," says MIT Joint Program Research Scientist Da Zhang, the lead author of the study. "While we observed no evidence of this behavior, we did find that firms increasingly reported emissions correctly over the years, resulting in fewer reporting errors and more agreement with verifiers' numbers." "Policy efforts to meet the Paris Agreement require robust monitoring, reporting and verification of greenhouse gas emissions to demonstrate real progress," says MIT Sloan School of Management Assistant Professor Valerie Karplus, a co-author of the study and faculty affiliate of the Joint Program. "Continuously assessing performance will be important to raising confidence in the effectiveness of nascent market-based systems, especially in countries where prior experience with such systems is limited." Poor, deluded Western enviroloon apologists for China. How many new coal fired power plants did they open in the last six months?
? MIT and MIT Sloan School of Management does not sound like an environmental something or other, or even primarily climate science (well, maybe MIT has some, but not its management school).
? And they were just looking at means for _Chinese companies_ to build non--deluded systems! I guess you were just trolling nonsense!? The Paris accord was just tool used to decimate western industry. I ask you how many "Tipping Points" will have been predicted and failed to materialize before China is required to reduce emissions by gram one? How many more will pass before they actually do reduce emissions? @MR and @ThoriumBoi are revealed as Chinese hackers from Group 61398. We know who you are and we know where you live. Stop lying. We know who you are and we know where you live. Stop lying." Da I hope that the veracity of your last post is not an indicator of the veracity of all of your previous posts on this site.